Everyone knows that heat rises - it's a well known fact. But did you also know that up to a quarter of your heat could be escaping out of your roof? 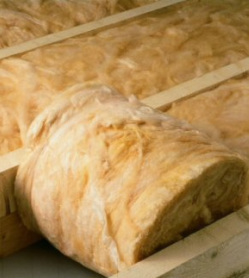 So preventing this should be one of your priorities when it comes to insulating your home. Or you may find that your roof space has existing but inadequate insulation - at one time even 25mm (1in) of insulation was considered to be acceptable. It would be beneficial to you and your pocket to top this up to the now recommended level of 270mm (10.5in) which will save you money on your heating bills. We use a well known British Standard branded product to insulate all which is proofed against rot, vermin and damp These materials are also non-flammable. Prices given following a survey appointment at your home. If your home is older, you may have a really drafty or dusty loft. This may be due to the fact that when your house was built, a bitumen liner was not put under the roof tiles. We can install thermal roof lining which not only lines the roof, but also insulates - adding an extra 50mm of effective insulation. 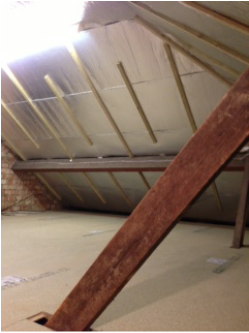 The lining is installed by tacking to your rafters and then putting treated battens on to stop you from accidentally pulling off the roof lining when you use your loft.